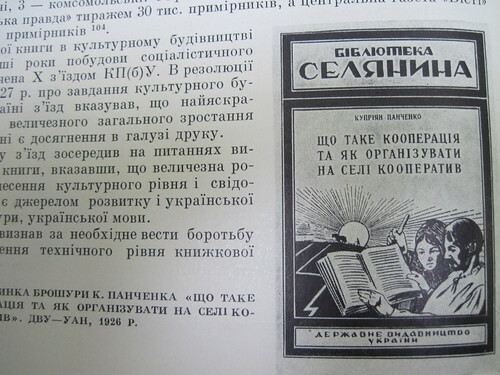 Brochure cover "What cooperation is and how to make a cooperative in village" (1926) by Kupriyan Panchenko. 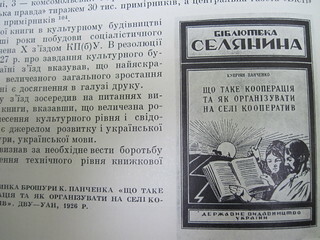 Published by DVU (State publishing of Ukraine) in 1926. In Ukrainian language.